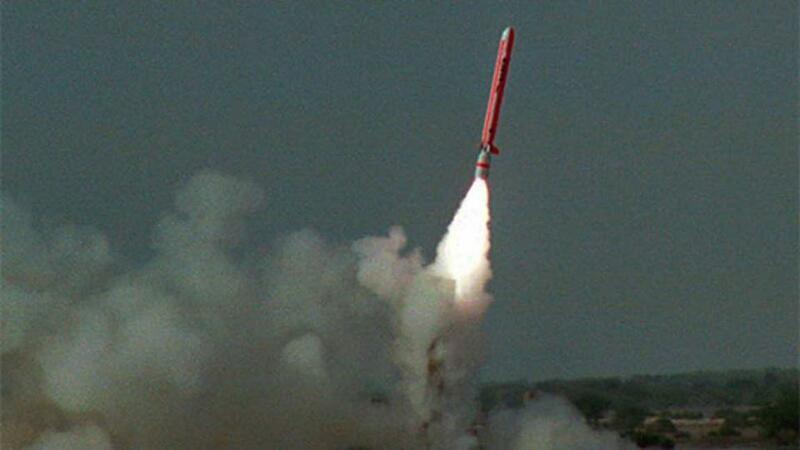 ISLAMABAD, April 15 (Xinhua) — Pakistan conducted a successful testfire of the Babur Cruise Missile with enhanced range, the military has said. "Babur Weapon System-1 (B) incorporates advanced aerodynamics and avionics that can strike targets both at land and sea with high accuracy, at a range of 700 kilometers," the statement from the army's media wing Inter-Services Public Relations said. Equipped with navigational technologies of Terrain Contour Matching and all time Digital Scene Matching and Area Co-relation, the missile can engage various type of targets with pinpoint accuracy even in the absence of GPS navigation, making it an important force multiplier for Pakistan's strategic deterrence, it said. Senior officials, scientists and engineers of strategic organization, which are involved in the country's missile system, witnessed the missile test. Pakistani president and prime minister conveyed their appreciations to scientists and engineers on successful conduct of the missile test, the military said.